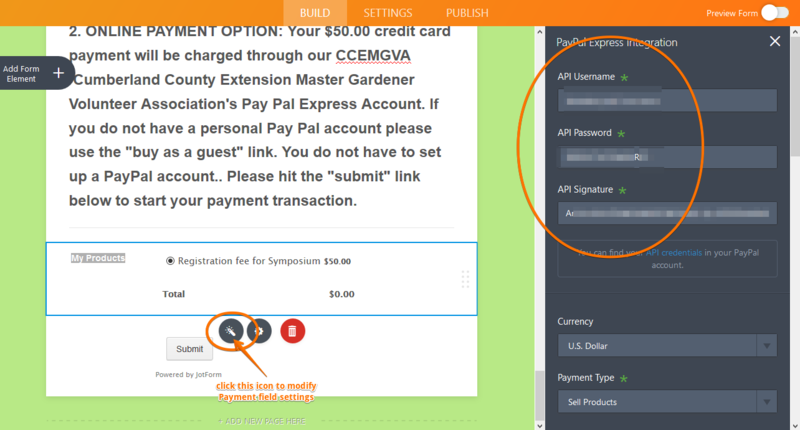 How do I change the contact person for PayPal payments at Registration? It will help us provide you with the appropriate response and suggestions if you provide more details about your concern. For now, I can only assumed that you must be referring to the Payment field settings using PayPal Express integration. It will open the payment field settings where you can update the PayPal credentials used. Please let us know if this is not the issue.